The Model 512 is fast becoming the most popular model HWS. 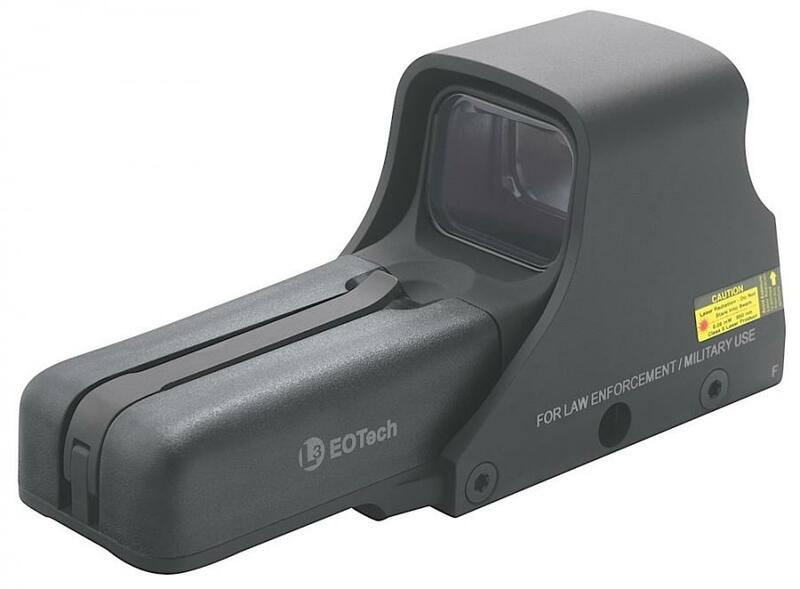 This tactical optic is perfect for agencies that want the best in CQB speed and versatility, without the need for night vision compatibility. AA Battery model (supports Lithium and Alkaline). 65 MOA circle with 1 MOA aiming dot reticle pattern. Includes rugged aluminum hood assembly and knobbed, tool-less mounting bolt. Now available in Mossy Oak, Realtree, or black. Field of View 30 yds @ 4"
Eotech Exps2-0 QD 65/1 1x 1.2"x0.85"